at our website store. Will open soon! It has been a pleasure having the JaM Patch and meeting all of you. We are thrilled that you liked our store so much. Your response to our closing has been overwhelming. We will miss you. Why is it called JaM? Why is it called the JaM Patch? We would like to take this opportunity to introduce ourselves to you. 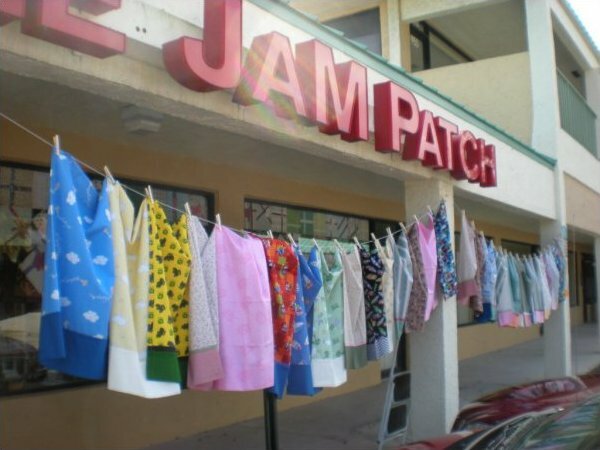 We are Joey and Margy of the JaM Patch, a new quilt, gift and home emporium in Stuart. We are lucky to be able to locate our store in a familiar place. 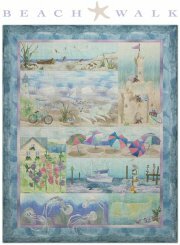 We are keeping Phyllis Charles' Tropical Quilter location a QUILT SHOP. To say we are thrilled would be putting it mildly. We have experienced retail before with a year-round Christmas Shoppe in Miami for 20 plus years and have missed the friendships we've made. We are hoping to offer you a wonderful place to visit, share ideas and tips, to make new friends, and of course shop. Our website is well into construction (not under construction) and we hope it becomes another convenient tool for you. We will have great things for you to look at and participate in on this site. Please browse around to see what we have so far and coming soon we will be adding our newsletter, a questionnaire that we would love your feedback on, a calendar of events and classes, a promo's page and of course a little bit more about us, our friends, our pets and our business. Hi, I’m Margy Merle, the M of the JaM. I am so excited to share my enthusiasm for crafting, especially quilting, in our store. I was raised on a farm in upstate New York but became a transplanted Floridian shortly after my husband and I were married and moved to Homestead. We have raised two sons, now young men. We took the long road north, via Chicago and Orlando. Stuart is where we have planted our roots and is now home. I have been cutting things into little pieces forever, my first grade teacher will testify. 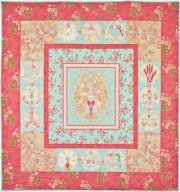 I have dabbled in many crafts and my currant love is quilting, of course. I started sewing at a young age with the encouragement of my Mom. We still spend many hours on the hunt for the best fat quarter. I hope to encourage each of you to find your inner “crafter”. We all have the talent, some are just hidden. Please come and visit our “ClubHouse”, enjoy the atmosphere, and let go of your inhibitions. You can do it; we’ll help you find the “it”. Hello, I am Joey Mettley, the J of the JaM Patch. I can’t remember a time I haven’t been doing something other than what people thought you should be doing. I love to have completed items to show for all my spare and sometimes not so spare time. 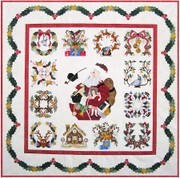 To complete a quilt, stitchery, etc. and to see the face of my friends and family receive them makes my life better. I live in Port Saint Lucie with my Mom, Betty. We are fortunate to have each other and to share the wonderful handcrafts we have been doing for years together. She taught me to sew and to share my talents with others. She is an inspiration to me and her encouragement has made me venture into retail again. We also share the house with two Labrador puppies and four cats. I am a very lucky person. I owned and operated for 22 years a year round Christmas shop, simply known as The Christmas Shoppe. It was originally in Cauley Square but retired to the North Pole from the Village of Palmetto Bay. A great day happened when Margy came into the store and applied for a job. Our friendship began that day and has grown through all of life’s ups and downs. It is this friendship that has made us venture into retail again. I want to share with you my love of quilting and other crafting skills and to help it grow and prosper in the 21st century. It is important to me, however, to provide a place where people can share their enthusiasm, grow in skill and have a “ClubHouse” to enjoy at. We hope you will come and help us do this.